Our goal is to connect people with the best local experts. We scored wedding photographers on more than 25 variables across five categories, and analysed the results to give you a hand-picked list of the best wedding photographers in Tacoma, WA. Aura May Photography is a natural-light portrait and wedding photographer in Gig Harbor. The founder loves to make new friends and turn moments of life into art. Wedding photography collections begin at $3,300 and include at least six hours of wedding day coverage. Portrait sessions start at $545 and can be scheduled for infants, families, and engagements. Clients can purchase gift certificates for Aura May Photography through PayPal. Benj Haisch is a wedding photographer in Tacoma with a love for outdoors spaces. The founder loves being married and wants to capture intimate moments for couples at the beginning of a lifelong journey. Wedding packages start at $4,995, while elopement prices begin at $1,995. Benj Haisch is available for destination weddings and offers portraits for $750. Photographers and business owners can check out the live classes and training sessions Benj Haisch offers. Blue Rose Photography is a full-service photography company in Seattle. The husband and wife team specializes in weddings and also has experience in engagement sessions, family portraits, and food and product photos. All wedding collections start at $4,000 and include six hours of coverage, two photographers, and a flash drive of edited images. Family, newborn, maternity, and portrait sessions begin at $700. Women can request boudoir sessions for $700. Blue Rose Photography has been published in Seattle Bride, Trendy Bride, and Inside Weddings. Dorothy Dean Photography is a photography studio in South Puget Sound, Washington, and Dorothy also takes on-location photos at weddings. Dorothy Dean, a graduate of the University of Nebraska at Omaha, is the Vice President of the Pierce County Professional Photographers Association and has taught photography at several colleges in Washington state. She specializes in weddings and teen photography, including senior portraits. Her pictures always capture the individuality of her subjects, whether they are walking down the aisle or sitting for a family portrait, but especially in her cosplay photo sessions. Wedding photo packages include both prints and access to an online photo gallery. Firstlight Photography is a Seattle full-service photo company that specializes in wedding photography. The company also shoots portraits, corporate headshot, lifestyle sessions, senior portraits, and Bar Mitzvah or Bat Mitzvah coverage. Ladies can schedule boudoir photography in the pin-up studio. A photo booth for events is available upon request. Firstlight Photography travels worldwide for destination engagements and weddings. The company received the 2016 Best of Northwest Award and the WeddingWire Couples Choice Award. Jenny Storment Photography is a wedding photographer in Tacoma. Wedding day coverage starts at $2400, with elopement sessions beginning at $800. Destination packages are priced at $1,500. All wedding packages include a USB Drive of the final images, online proofing, an online viewing gallery, and print release. Jenny Storment Photography has experience with maternity sessions, taking portraits of families and seniors, and shooting corporate headshots. Portrait sessions start at $200. Jerome Tso Photography is a Seattle wedding photography company that has shot nearly 400 ceremonies in 16 states. The company portfolio has a collection of wedding and engagement photos from local venues in the Pacific Northwest, and as far away as South Asia. Clients can request travel wedding packages in exotic locales, and view galleries of past weddings online. Jerome Tso Photography also offers family photo shoots. Jerry Chun Photography is a full-service photography company in Tacoma. The company has experience with team pictures and sports action shots, senior portraits, and family photos. Jerry Chun Photography also schedules wedding shots. Clients can also request architectural imagery, black and white shots, model composites, and professional headshots. Past clients have said, "I would recommend Jerry for any kind of occasion whether it's sports, senior pictures or weddings...He is just great all around!" Jordan Voth Photography is a portrait and wedding photographer in Seattle. The founder is passionate about using outdoor spaces and has a stunning collection of images from the Pacific Northwest. Clients can book engagement sessions or full day wedding packages. Gorgeous scenic prints from the southwest are available for purchase online. Jordan Voth Photography is available for travel worldwide. JTobiason Photography is a Seattle wedding photographer who captures the memorable moments in life. The company promises creativity, personality, and a relaxed atmosphere while creating images that will be cherished forever. JTobiason Photography also has experience taking engagement photos and individual portraits. Wedding packages begin at $2000, which includes a free engagement session, six hours of wedding day photography coverage, and all the edited photos on USB. Lessie Blue Photography is a wedding and engagement photographer in Seattle. The founder is described as a mother, wife, and soulful artist who enjoys making beautiful things. All wedding clients will receive up to 200 photos, an online gallery, a print release, and a USB with all edited images. Wedding packages begin at $1,800. Clients can also request full coverage makeup with the photography package. Lloyd Photographers is a husband and wife wedding photography team in Seattle. Wedding packages start at $2,850 and come with a complimentary engagement session. The images are fully edited and curated online in a professional gallery. Amanda and Steven come to every wedding fully prepared, and backup images online. Lloyd Photographers is available for weddings worldwide and has traveled to Europe for portrait sessions. Clients can request both wedding day collections, and customized elopement packages. Meredith McKee Photography is a wedding and lifestyle photographer in Seattle with a bright and cheerful style. The owner uses natural lighting and creative composition to capture people during one of life's happiest days. Clients can request engagement and boudoir sessions, as well as personal portraits, and maternity sessions. Wedding packages begin at $2,950, and elopements start at $1,500. Meredith McKee Photography has been reviewed by clients on Wedding Wire. One Love Photo is a wedding photography company in Tacoma that captures charming, unique images. The company has shot over 260 weddings and focuses on capturing artistic compositions in ethereal light. One Love Photo offers several pricing options starting at $3,000, and can customize travel packages for international events. The company's style blends contemporary and vintage elements and has been featured in magazines like The Knot, Brides Magazine, and Brides Southern California magazine. Rebecca Anne Photography is a journalistic, lifestyle wedding photographer in Tacoma. Rebecca Anne is passionate about capturing authentic connections, and the in-between moments of real life stories. Clients can schedule weddings, engagements, and elopement sessions. Wedding packages begin at $2,900, and engagement packages begin at $500. Rebecca Anne Photography has been featured in several magazines including Style Me Pretty, Wedding Chicks, Seattle Bride Magazine, The Knot, The Luxe Pearl, Love & Lavender, Kate Aspen, and How He Asked. Ryan Flynn is a Seattle wedding photographer who specializes in heartfelt, joyful images. Ryan is passionate about telling stories and strives to combine his love of nature and the outdoors with the love his clients share. He is also committed to capturing quality images that come together as a whole with a sense of completeness and authenticity. Ryan Flynn Photography was named one of Rangefinger Magazine's 30 Rising Stars of Wedding Photography. Something Minted Photography is a wedding and portrait photographer in Tacoma. The owner works closely with brides to create a custom photography timeline and takes a relaxed approach to make everyone feel comfortable. Customers can book weddings beginning at $2,450 or schedule portrait sessions for $350. Something Minted Photography travels worldwide, and a second photographer is available upon request. The company won the 2016 Best of Weddings Award from the Knot. Tammy Dahlquist is a company in Federal Way that offers wedding photography, family sessions, and senior portraits. Wedding packages begin at $1,495 and include a complimentary engagement session. Tammy runs a client focused business and takes the time to understand each customer's needs to capture the moment well. Clients can schedule tween picture sessions to make pre-teens feel accepted, confident, and beautiful. Stylized senior portraits are also available. Unique Moments Photography is a wedding and portrait photographer in Gig Harbor that has been in business since 2007. The company takes photos in a mixture of styles and charges by the event, rather than by the hour. Wedding packages begin at $2,200 for one photographer, and up to nine hours of wedding day coverage. Customers can schedule on location studio sessions for $75 and choose senior portraits, business headshot, or product placement shoots. Unique Moments Photography has photographed over 350 weddings and maintains a 4.9 rating on Wedding Wire. Vail Studio is a photographer in Seattle that serves clients who love beauty, romance, and style. The company specializes in photographing weddings but also works with seniors, families, and babies. Clients can also schedule maternity sessions and model portfolios. 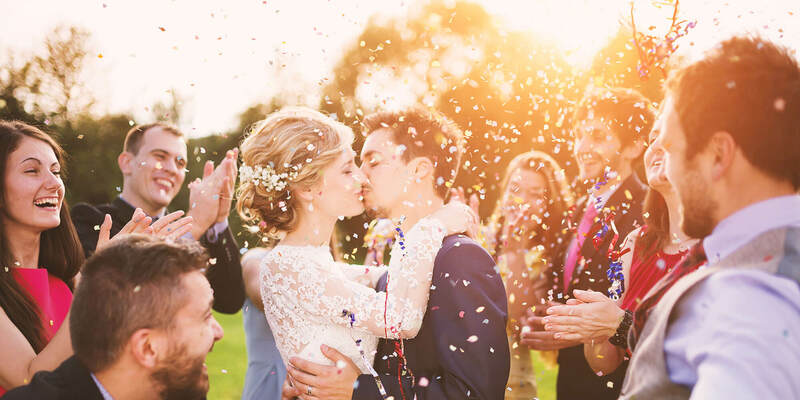 Complete wedding coverage begins at $3,000 and includes high-resolution printable files of every image, two photographers, and an online gallery. Vail Studio was voted among the best in the Northwest by Evening Magazine and won the Wedding Wire Brides Choice Award from 2012 to 2015.